DHL is the world’s leading logistics company, so there are a wide range of challenging roles available with them. Learning and development programs help to support their employee’s careers, so DHL jobs can cover a multitude of different disciplines, and begin at almost any career level from student to management. Finding a job that suits you is not hard with DHL. A wide range of career opportunities exist with the business all over the world. You can begin your search through the company’s website or set up an email alert which will automatically inform you when a matching job role becomes available. 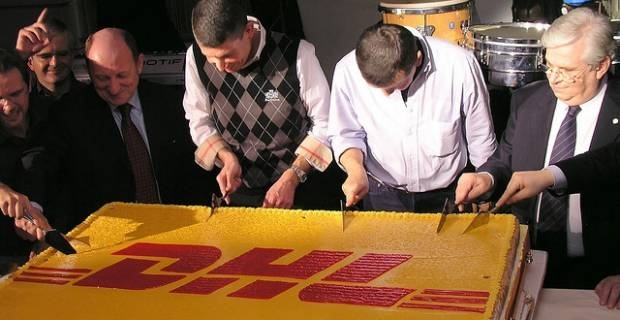 DHL pride themselves on their ability to develop their employees talents. They have several initiatives that help them to do so. Although a graduate program is in place, you don’t have to be a graduate to benefit from the company’s professional development program. Their online learning portal, mylearningworld.net, offers programs teaching languages, management methods, and other important topics. An employee’s development is monitored through the motiv8 program. It helps DHL to recognise talent and evaluate employee performance. Planning and developing a career is also in the employee’s hands due to a comprehensive e-learning program. An inclusive culture is to be expected from a worldwide business like DHL’s, but they go further than other similar businesses to attract and encourage diversification in their workforce. DHL were within the top 50 employers for woman according to The Times 2011 Top 50 Employers For Women survey, and they continue to exceed the targets they have set themselves for increased diversification. DHL jobs offer a chance to join the world’s biggest logistics firm. They offer an opportunity to deal with people from all over the world. You could even become involved with company-wide initiatives that benefit communities around the world. In partnership with UNICEF, DHL are committed to reducing child mortality and the company’s Disaster Response Team often step into areas that have recently been devastated by natural disasters to help save lives. Looking to land DHL home courier jobs?